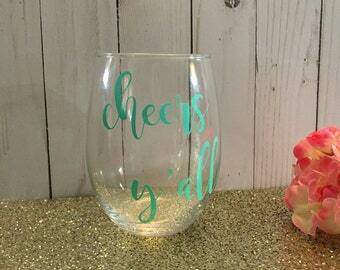 These acrylic stemless wine glasses are so cute and popular, and they are perfect for tailgating or being on the beach! 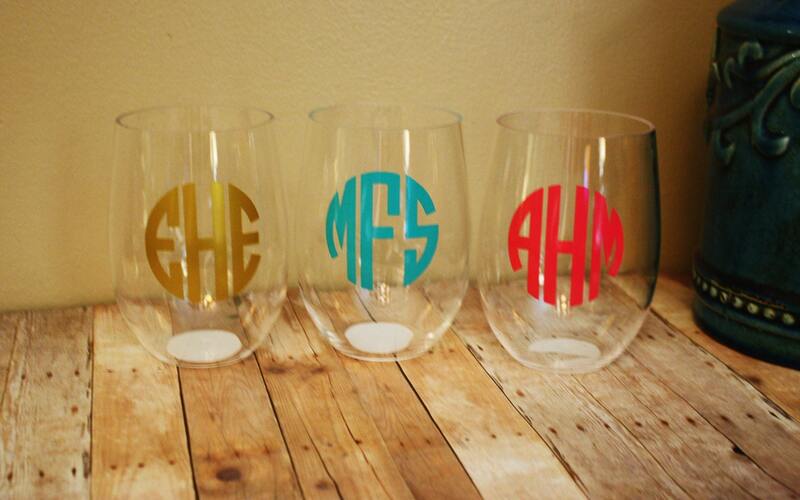 They also make a perfect wedding gift, housewarming gift, graduation gift, bachelorette party favor, etc. 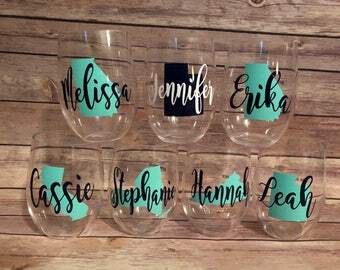 This listing is for one personalized acrylic stemless wineglass. These are all 16 oz. 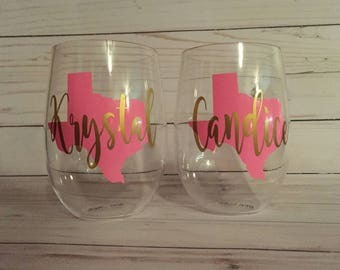 I have several colors of vinyl to choose from to personalize it to your needs. I use high quality outdoor vinyl that is not going to peel off. Hand wash only. If you have a special color request, just message me. I have tons of colors available! Feel free to contact me with any other questions! Thanks for looking!